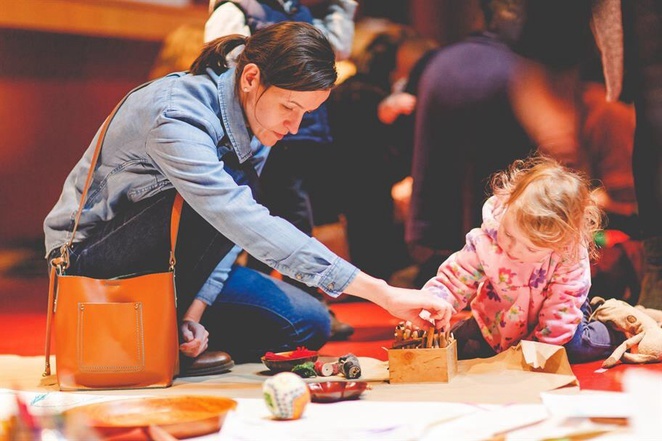 Families are being offered an array of activities to keep the children busy in the Midlands by the Royal Shakespeare Company (RSC). Many of the events are free in Stratford upon Avon - just half an hour East of Birmingham. They take place until Friday September 1. The RSC Summer Holiday Family Activities range from pretending to be a gladiator in a Roman world to storytelling sessions, the chance for children to mess around in a theatrical dressing up box or find out more about how the make-up department make people look like they have cuts and bruises. I Think I Can at The Other Place, 22 Southern Lane, Stratford upon Avon. Every day until 5 August. 11am -2pm. This is inspired by the RSC's current Rome season and devised by Terrapin Puppet Theatre, uses puppetry and live video to create a miniature ancient Rome inspired town. The miniature town features 150 playful figures. Participants first take part in a personality test and are matched with their own Roman character mini figure. Visitors can then enjoy finding out more about their figure before placing it in the Roman town where its journey will begin. Through puppetry, live video and live audience interaction, this innovative public artwork asks who would you like to be today? I Think I Can takes place at The Other Place until Saturday 5 August from 11am to 2pm and is suitable for children ages seven and older. Come and play some traditional and reimagined Roman games in our special arena and enjoy Rome inspired versions of Rock, Paper, Scissors and KnuckleBones. Suitable for all the family with equipment provided. Visit the Shed of Stories and hear Roman tales as well as enjoying the pop-up library where children and families can read together. There will also be a small writing desk with paper and pencils where older children can pen their next masterpiece. Get active with an array of Shakespeare inspired rehearsal games. Explore a selection of props, costumes and accessories from the RSC Collection and unearth stories of Shakespeare's Roman plays. Suitable for all ages. Join former RSC Head of Wigs and Make-up, Brenda Leedham, as she demonstrates the tricks of the trade and how bruises, cuts and scars are created. Suitable for all ages. Children must be accompanied by an adult. Create your very own digital flicker book filled with your very own costume drawings inspired by the RSC's costume store and archive photos. Spend the day drawing your own designs for your favourite Roman Shakespeare characters. Family and friends will be invited to join you at the end of the day to share your work. Each participant will also be sent a link to their digital flicker book to keep after the event. Young people do not have to be accompanied by parents or carers. Be inspired by the Roman costumes in the RSC's archives at this free drop-in event. Suitable for all ages. A Roman story-time with Kate and her Storytree. Dress in a toga, make a Roman wreath and hear stories about ancient Rome. All props and materials are supplied. Children must be accompanied by a parent or carer. Create your own animated RSC Julius Caesar style gif at a special two-day animation course. Participants will work together and present their films to family and friends. Participants will also be sent a link to their film to keep after the event. Come and help us make a mosaic of Shakespeare's face, using special LEGO bricks. Complete your own mosaic panel which is added to the whole design and watch the giant artwork emerge. Led by Bright Bricks. Introduce your child to Shakespeare and his stories through simple rehearsal techniques. Children must be accompanied by an adult. Take part in this fun introduction to the plays. Discover the stories and themes as you work as an actor does, on your feet. Create your very own shortened version of a Shakespeare play in just one day with help from an RSC expert. Young people can attend without their parents or carers. Learn how actors bring together different techniques to make fight scenes look real on stage in this special workshop with an RSC expert. Learn how actor brings together different techniques to make fight scenes look real on stage in this special workshop with an RSC expert. For ages between 13-17 years. Take a magical journey through 100 years of theatre-making in Stratford-upon-Avon at The Play's The Thing. Discover rarely-seen treasures from our museum and archive, exquisite costumes, amazing model-boxes and weird and wonderful props. 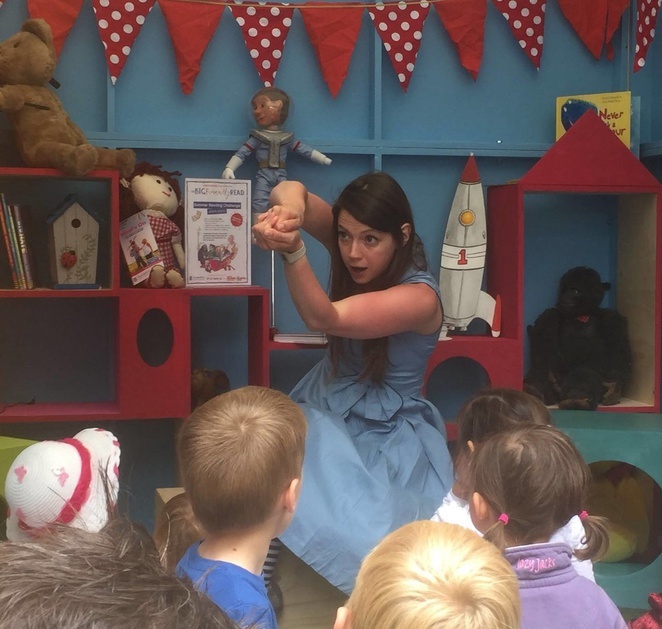 Families can also enjoy a range of free theatre at The Dell, the RSC's open air performance space in Stratford-upon-Avon, on Saturdays and Sundays, until 27 August, throughout the summer. Over the weekends amateur, semi-professional theatre groups and colleges will perform theatre inspired by Shakespeare and his contemporaries. Families can enjoy an array of craft activities with the RSC Play Cart available in the Riverside Café and at The Other Place foyer. Aimed at children aged between two to six years of age, the RSC's story blankets use special fabrics and simple puzzles to bring a story to life. Explore Shakespeare and the Royal Shakespeare Theatre with a special RSC adventure bag. Suitable for ages six to 10 years. Ask a member of staff to borrow one. 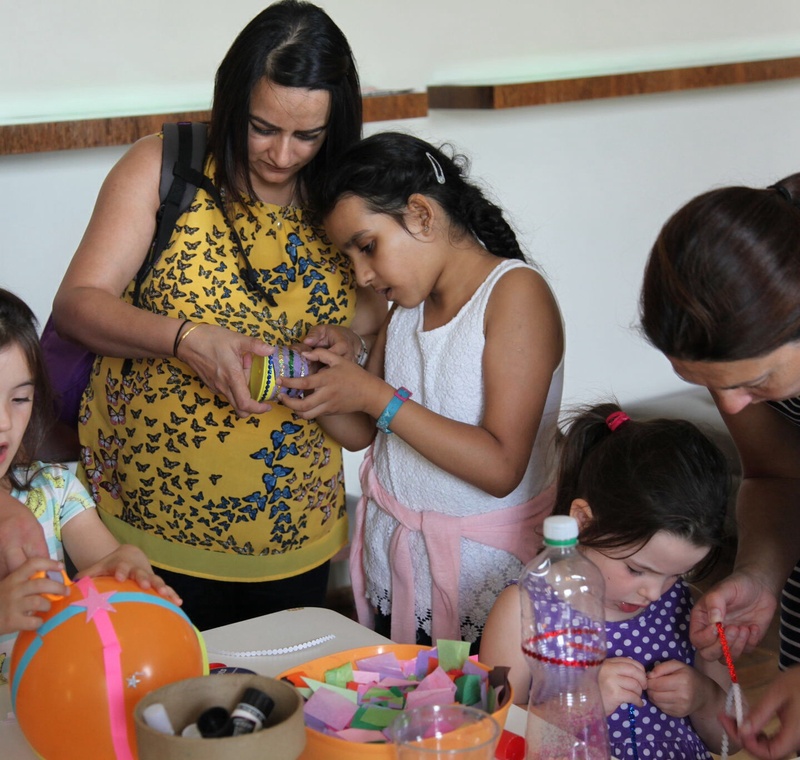 Families can enjoy an array of craft activities with the RSC Play Cart available in the Riverside Cafe. Children must be accompanied by an adult. Dress-up with a range of special costumes from the RSC Costume Store. The permanent dressing-up box is for all ages. Children must be accompanied by an adult. Events take place until September 1. To book tickets call 01789 403493.